Congratulations to HPNG Co-Founder Max Ramirez! 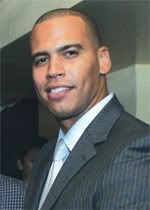 January 7, 2008 -- Western Union announced the new hire of Max Ramirez as Field Marketing Manager - US Hispanic Market. He will be responsible for managing and facilitating Hispanic marketing initiatives and playing a key role in working closely with Latino communities across the United States, driving the retail marketing execution process from end-to-end. Most recently, Ramirez served as the National Field Supervisor for The Integer Group; where he managed a team of promotional Coors Light promotional representatives in the United States. In 2003, he launched Max Media Worldwide where he strategically worked with advertisers such as Procter & Gamble, Codetel Communications, DigitGlobal Communications and Absolut Vodka. Previously sales and marketing executive roles included: Spanish Broadcasting System, Azteca America, WAPA-TV, MTV Puerto Rico and Katz Media Group where he had a proven track record in delivering outstanding returns. Ramirez will be based in Western Union's Latin American and Caribbean headquarters in Sunrise, Florida. Known today as an innovator in financial services, The Western Union Company, together with its affiliates Orlandi Valuta and Vigo, has become an industry leader in global money transfer with over 320,000 Agent locations in more than 200 countries and territories. From the roots of our signature telegram business, we expanded and evolved our services in 1871 to offer electronic money transfer. Today, Western Union offers money order, money transfer, payment and prepaid services. While the telegram is a memory, we continue a long history of connecting people around the corner and around the globe with financial services that are fast, reliable and convenient.